Sir Walter is Sydney's favourite lawn. 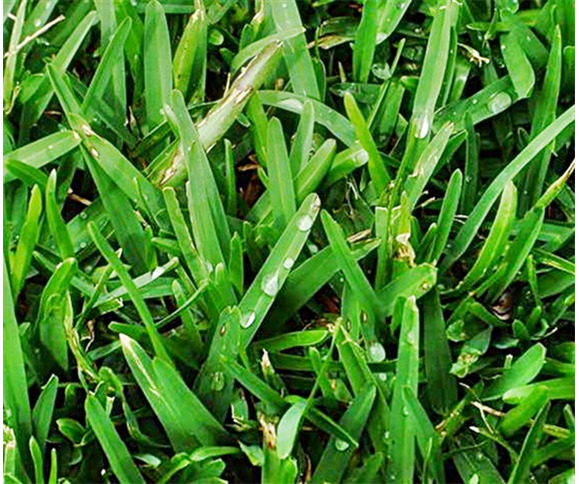 It is a soft leaf buffalo variety, but this unique family lawn turf is different from any home lawn variety that you have come across before. A natural selection, it was born and bred under tough Australian conditions. This unique heritage makes Sir Walter better suited to our Aussie environment and better able to stand the very different challenges of our harsh climate. Sir Walter is suitable for lawns all around Australia. A creeping broad leaf variety of lawn, it is easily contained as it only creeps across the surface area (not sub-surface). Sir Walter will tolerate heavy traffic, including pets, and is extremely drought tolerant. It grows well in both full sun and shady spots being able to tolerate up to 70% shade. Generally Sir Walter is the ideal lawn for your problem areas, particularly if you have trees that shade your lawn and have previously had trouble growing other varieties in that patch. In a shady position it should be kept longer at all times, to allow more leaf growth to compensate for the lack of sunlight, and watered less frequently. In spring your Sir Walter lawn (as with any lawn) should be mown very low and fertilised. This removes the thatch that has built up in your lawn and allows new stolon growth. Sir Walter does not require a high fertilizer regime. Three applications of a balanced slow release lawn food - once in Sep, once in Dec, once in March - and a single application of a balanced organic fertiliser in April or May, per annum will give excellent results. Sir Walter is a fully patented PBR (Plant Breeders Rights). The PBR number of Sir Walter is 96/226.